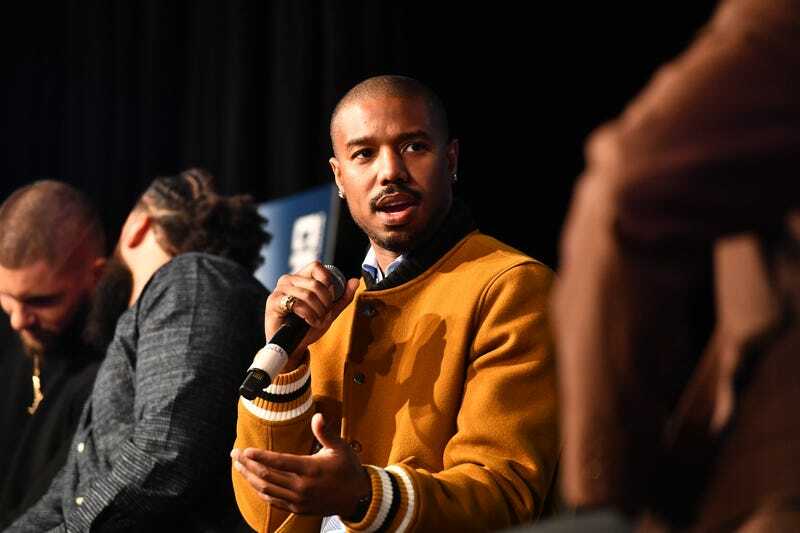 Actor Michael B. Jordan speaks onstage during ‘Creed 2’ Clark Atlanta University Student Forum at Clark Atlanta University on Nov. 8, 2018, in Atlanta. Perpetually single lover of all women, Michael B. Jordan, has been busy as of late. After a brief absence from the public eye after the runaway success of the Ryan Coogler-directed first installment of the Black Panther film franchise, Jordan was spotted hard at work filming the sequel to his 2015 Coogler vehicle, Creed. As Creed 2 hype builds toward a Thanksgiving opening, Brick City’s babyface has begun to make his rounds in the press, dishing on topics ranging from slow-motion knockouts to why it’s just so hard for Oscar-nominated heartthrobs to date nowadays. Still, the most interesting twist in the lead-up to Creed-Drago 2: Hopefully Creed Doesn’t Die Again came from Jordan’s Instagram, where the actor announced a Nike collaboration featuring Adonis Creed himself. Fans of the franchise’s first installment will recall Creed’s love for Jordan Brand sneakers and apparel, and trailers for the sequel boast placements from Nike and Converse. Months after Nike surprised NFL franchise owners with its ad campaign featuring free agent quarterback Colin Kaepernick, the sportswear behemoth has again thrown its considerable cache behind a non-active (or in this case, completely fictitious) athlete. Sneaker enthusiasts and stans of a certain salmon-haired jackass will recall Nike’s decision not to give complete consideration to non-athletes as the catalyst for a subsequent jump to Adidas.